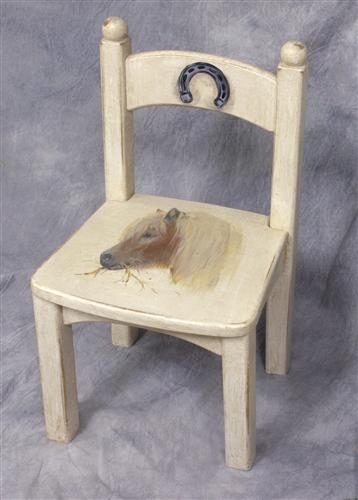 This traditional chair by Art for Kids is just the right size for your little one. 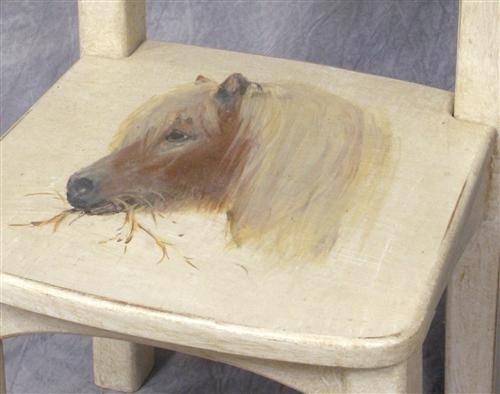 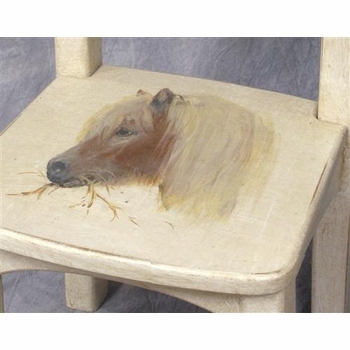 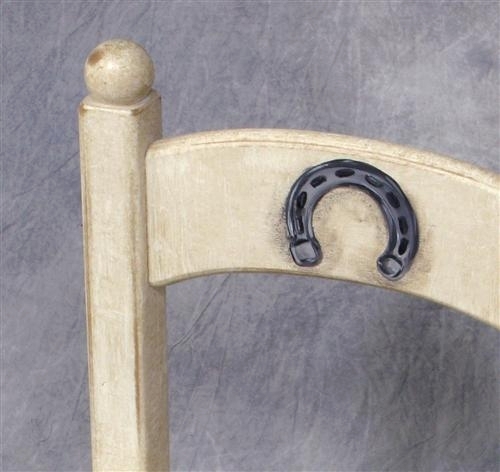 The chair features a hand painted pony on the seat on tea stain finish. Makes a great decorative piece that your child is sure to enjoy! 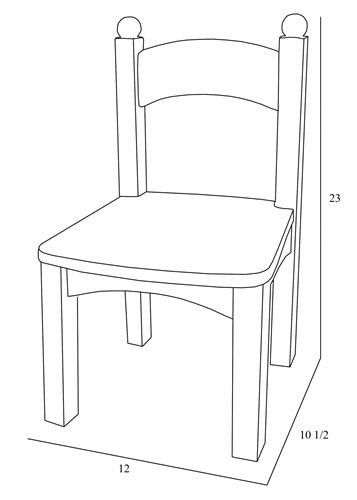 Dimensions - Width: 12" x Depth:10 1/2" x Height: 23"
The chair is custom made to order and ships directly from the manufacturer. For further information or to speak with one of our design associates, please call us at 203.655.0185. 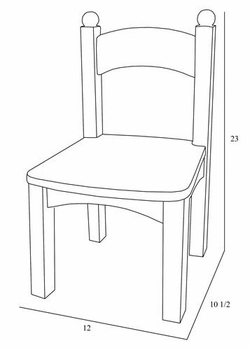 Wood chip samples available upon request.